Get ready for some administrative upheaval as coding changes abound in 2012. Not only do radiology providers have ICD-10 to prepare for in 2013, but they also have several code changes that will affect reimbursement this year. 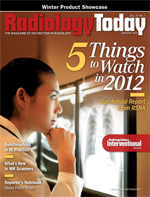 The biggest change in radiology coding for 2012 is the continuation of combining codes, which began in 2010. The purpose of combining codes is to reduce payments for procedures performed together more than 75% of the time, per the Centers for Medicare & Medicaid Services (CMS). For 2012, these changes continue with new and revised codes in various sections of the CPT manual. These codes also include parenthetical notes that state not to report with the codes for transcatheter retrieval, percutaneous, of intravascular foreign body (eg, fractured venous or arterial catheter). Nuclear medicine: The nuclear medicine section also has several new codes, mainly with intraoperative radiation treatments and one new code for intraoperative radiation treatment management. The two procedural codes are dependent on the mode of treatment, either via X-ray or electrons. Additional codes for nuclear medicine include two new codes for hepatobiliary system imaging services, previously reported with code 78223. Now there’s a code for the imaging of the hepatobiliary system alone and a code that includes pharmacologic interventions, including quantitative measurements. Both of these codes include imaging of the gallbladder when present. For 2012, CPT has deleted the codes 49080 and 49081, which have been replaced with 49082 and 49083 to report abdominal paracentesis procedures. These codes differ from the deleted ones in that there is the designation of imaging guidance usage and the verbiage of initial and subsequent has been removed. A new code has also been added in this section for peritoneal lavage, which also includes image guidance when performed. Pulmonary imaging: The pulmonary imaging codes have also experienced major revisions for 2012. This includes condensing nine codes, 78584 to 78596, into four codes to cover the same services. The true impact on reimbursement from these changes remains to be seen and will be answered when Medicare releases its fee schedule for the year’s new codes. — Shelly Cronin, CPC, CPMA, CANPC, CGSC, CGIC, is the CEU vendor department head at AAPC. A seasoned coder, she holds multiple certifications in auditing, anesthesia and pain management, general surgery, and gastroenterology.